One week ago, my phone suddenly grew a very annoying problem with the Wi-Fi. Pretty much what happens is that my Samsung phone is working like normal for ten seconds. Then, the Wi-Fi disconnects and says "No internet available". If I manually reconnect it by tapping the Wi-Fi in settings and press connect, it connects back to the Wi-Fi. Then the cycle repeats ten seconds later. Also, the cycle is not constant. Sometimes I have internet access for a few minutes, sometimes only for three seconds, but on mostly ten seconds. Another thing, it's not my phone. My phone can connect perfectly well to all other Wi-Fis. It also not my router, for all other devices connect perfectly well to it. It has something to do with the specific connection between this phone and my linksys internet. On a side note, I have a roomba connected via schedule to this phone. It hasn't automatically vaccummed since my internet-phone connection acted it. EDIT 1: I have tried using the Wi-Fi fixer app and it did not work as desired. When the app is running, the same cycle occurs as described above. With the exception that every time the Wi-Fi disconnects, Wi-Fi fixer automatically reconnects. This is a great step, as I get a somewhat more reliable internet connection. However, this means that every 20 seconds the "connected to Wi-Fi" pop up appears. It also means my internet goes in and out constantly. I also imagine the constant reconnecting to the internet causes a smaller battery life. p.s. : When you restart your phone, recheck if it's still OFF, if not repeat til it works. The app did not work. Further details on EDIT 1 in the post. 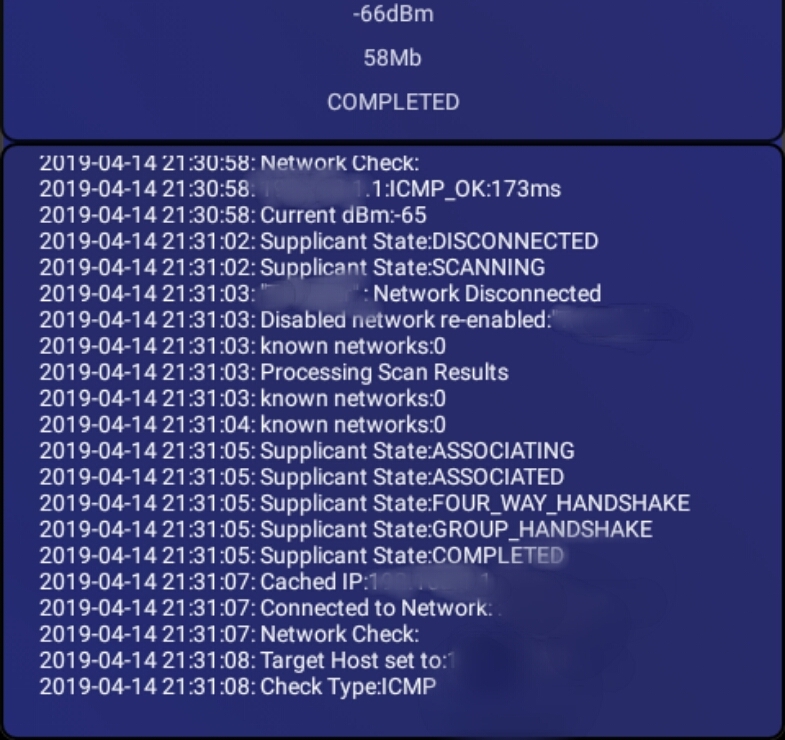 Sharing Android's Wi-Fi internet connection via... Wi-Fi. Not just extending! [SOLVED] How to turn-off WiFi when there's no Internet available on the connection?